Last week, students sitting for the school-leaving exams in Hungary were up against the English test on the higher level. This test is something the results of which count towards university entrance exams, so naturally, perceived or real trouble about it counts a lot more than that on the normal level tests. Internet news about the issue with the listening part can be read in Hungarian here. I hope that my interpretation of the situation may be useful for English teachers in other countries as well and may help students understand some features of the situation. In short, of the 9809 exam takers, in one day, more than 2500 joined a facebook group (though this could be misleading, seeing that parents also joined the group) and submitted a petition to the relevant government agency against the quality of the listening material as they thought the material couldn’t be heard properly because of distortions of sound in classrooms. Some actually claimed the original sound already had echos. We can also listen to it in the middle section of the article, right next to the link to the pdf of the task sheet involved. As my listening to the published material reveals no distortion problems to me on my computer, the story reveals a lot of problems in the Hungarian education system. Admitting that the inclusion of several French and Spanish words was not exactly fair, I still wonder if that may have disturbed takers. Not only in my teaching practice but also in all teaching materials, there are lots of names from other languages recurring all the time. How can one learn a language without mentioning outstanding people from history, science, the arts etc.? English doesn’t distort foreign names like Chinese does, so this can’t really have been a problem for trained examinees. Trained, I’m saying, and I’m returning to this a bit later. Another problem claimed was the extreme distortion. The article claims many schools use ancient portable tape-recorders to play … what exactly? The listening material was issued to schools in two copies of the relevant CDs, so no tape-recorders could have been involved. Such a distortion is, to my mind, indicative of the quality of … the Hungarian media. Other than that, CD players may have been of dubious quality, in bad repair, I had already met a number of such equipment 10 years ago. However, if a CD player doesn’t work, it is taken away to be repaired or thrown away and is exchanged to a better one. Some people actually claimed that they didn’t hear the sound sitting in the second row and they have good listening abilities. To my mind, it is doubtful that the teacher administering the test purposefully brought in a bad player with bad loudspeakers to disturb her/his own students. Claiming that the loudspeaker had to be turned up too strongly in the big rooms is also strange: the same students had been sitting in the same rooms for four years listening to the same players at similar intensity. What may have been new, pray? However, this point only in itself brings the technical background for schools in Hungary in the limelight, and probably deservedly. This in turn underlines the poor financials of the same for extended years. While in my study years we only had really ancient big tape-recorders to listen to the one set of intermittent pre-recorded (that is, unnatural, carefully read-out) listening material, the 21st century makes it necessary to expose students to realistic listening in countries, like Hungary, where English-language TV-programs are practically unavailable and dubbed films prevail in the cinemas. This practice is also in need of changing, but the poor general financial situation makes it very difficult for any broadcaster to buy the rights of contemporary TV programs and air them as they are. And what would be their incentive? That change nowhere to be seen in the pipeline, it is the schools’ duty to provide ample practice for listening. If they can. But that is only one side of the equation. And that brings me up to my next point. As I said, it is up to schools. But schools consist of not only teachers, there are, in the majority, students as well. Meaning, the vast majority of people in a classroom are the students. Have you ever stood in front of a large group of people who resist all your efforts to bring them together and make them quietly learn something instead of their own will? It’s a lot easier for a party leader to speak to a huge crowd from their own party – they want to hear what he wants to say. Try doing it in front of the opposition. And that is still only speaking, not making them practice performing skills. My experience shows that during the last 15 years the willingness of most students in Hungarian schools to learn has been nose-diving. You can lead a horse to water but you can’t make him drink, as the proverb goes. More and more students do not want to drink from the fountain of knowledge, so to speak, but weep and wail each time listening is brought in – I faced this reluctance increasingly myself. That said, I’m not saying those students hadn’t practiced listening – I’m saying, what they had done was far from satisfactory, far from enough. Learning a language has nothing near to the logic of developing mathematical or historical knowledge. It is not even only knowledge, it is rather a huge set of skills. It is a lot more complex than other subjects except for learning a musical instrument, and contrary to beliefs, but due to the complexity as well, there are very big differences in learning abilities, especially if we consider the time constraints. Hence the complaints in the complaining group on facebook, demanding logical, rational answers. No, there may not be logical, rational answers. No, the way we learn languages is next to impossible to follow with logic. Yes, intelligence may have a limited part in it. Yes, it may also be due to psychological barriers, individual learning styles, short- and long-term memory differences, methodological differences on the part of the teacher as well as on the students, to name a few problems. And listening is an area where a lot of those factors converge for many as there is no possibility for individual speed, time to stop to consider and the like. It is thus very tiring and also difficult to really assess. I am next to stating that teaching a language is an instinctive art, with an instinct not easy to develop. So many colleagues in the classroom may give up on trying and practicing listening. It is easier to resort to a dry, seemingly logical structure of what happens easily each time: turn to page … read and answer the questions. Choose … fill in … let me see … correct … incorrect because … (grammar explanation following). Satisfaction – duties have been fulfilled. Of course, students wanting to take the higher-level test are the cream of the classes. Why couldn’t they perform at the test without problems? Well, it’s because they are a minority of the communities they had been brought up in to be the best. To be the best among a general decline may mean very different from what it meant for us 40 years ago, or for my first groups 30-or-so years ago. Those communities are the real initiators of this protest and the real cause of the problem. They may be the reason why the best may think they are good listeners. Among whom? Parents seem to subscribe to the general mood of protest. I have seen and felt this too. Parents have become more and more defensive of their children based on the perception that they know their kids better. Parents’ perceptions have been shifting towards seeing, if not the school, then at least the ‘problem’ teacher as the enemy instead of the ally in improving their children’s capabilities and thus future chances. Unfortunately, this perception has been spreading among the student community as well. And this has been happening in a country and culture where parents are more and more inundated with their own work. Before I forget, there is also the other side, the group of parents who can provide their kids with everything they wish for. As one student explained to me a few years ago, “I don’t need to speak English, I’ll have my father’s business and I’ll employ interpreters.” Well, yes, that seems easy for some. If that’s the image they make fashionable, what are the chances for the meek not to follow in laziness? However, that’s already a social problem that I can’t address here. But that’s another reason for the students to consider the teacher the enemy – she/he, the ‘loser’, seems to be powerless against the ‘mighty’ parents, so what do they want? Reminiscent of the situation in Chinese private schools. Does it also remind you of “another brick in the wall”? I see one positive. And that is that the tasks are still given in English at an English test, something that may often not be the case in the Netherlands, or Italy, or China, for example. I can feel, however, that this may also change as so many other things have changed in the course of the last couple of years in the Hungarian education system. It is always easy to take the easier path. But that is going to be the subject of another article next time. A few days after I posted this article, on 14th May, what do I see on Dutch TV? Mass protests on the net by Dutch takers of their respective school-leaving exams against the time constraints they thought was too short … while in Nigeria, where more than 270 girls were earlier kidnapped to prevent them from going to school and punish them, people are still hoping that there may still be a future for girls’ getting a profession. I have been relatively new to translators’ sites, but on a discussion forum, I’ve already come across a lot of very professional explanations of problems in English. Translators are language experts after all. The asker (somewhat grammatically incorrectly) said “I think that answers B and C are not grammatically corrects” but asked for other people’s opinion. My feeling is that the foreign language teaching which we all underwent at a young age left an indelible mark on us to an extent that most of the best language professionals still think in terms of grammar when faced with wrong language items. They clearly identify what is wrong language, but when the question referred to wrong grammar, they left it at that and were mostly busy discussing how strange the idea is to translate a language test into another language. That is also a very valid question, but at the same time, of the 5 or 6 people involved in the discussion, only one pointed out that it is not the grammar which is wrong, but “it’s a problem of vocabulary — simply the incorrect choice of verb”. And this amazed me. I suspect that language teaching that focuses on grammar leads to a tunnel vision of languages with most of us, and we accept all, or most, language mistakes to be those of grammar, the rest being allowed for spelling and punctuation, but which are almost never pointed out to fellow professionals for fear of being called impolite. In this particular case, what was really important was indeed the incorrect two choices. But, though asked about grammar, some people may have also been afraid to correct the conceptual mistake. Yes, grammar is usually to blame. To a language teacher, this indicates that treating vocabulary, or lexis, as increasingly referred to at least since Michael Lewis’ ‘lexical approach’ appeared in ELT, is still the basic concept we deal with about language. His work has apparently not gained enough kudos to counteract the good old reference to ‘grammar’, whatever is understood under this umbrella term. Besides, one other very valid point was also raised, namely, to what extent wrong language can be called incorrect. It often happens in language classes that teachers (or native voluntary helpers here in the Netherlands) jump on any mistake learners make. Besides possibly intimidating most learners, this also overshadows the fact that language is for communicating ideas even through mistakes. Haven’t we all, as babies, started out making millions of mistakes, and yet, our families understood us the way we intended? There was correction, too, but it was not only patient, it also accepted the extent the faulty language was still communicative enough. Besides, it was all done without reference to ‘grammar’. I increasingly suspect that the concept itself is to blame for the mere question. If it is enough for language professionals, and indeed all native and high, or even mid-level speakers of the language to identify a mistake as wrong, is it necessary to call it a name and thereby fall back on falsely trained concepts? If we have to teach along lines of concepts at all, then teachers and learners should learn to call a spade a spade and call a wrong word a mistake of lexis, and not grammar. Or abandon ‘grammar’ almost completely. It is also time to point out to language learners that when they make lexical mistakes, they may be grammatically correct, but most lexical mistakes are completely wrong because of the meaning, and often simply because of general usage. In schools, the stress is on grammar, whereas the most urgently necessary material to be learned is vocabulary, and in the proper usage. Without lexis, grammar is dead, but proper words have a meaning even when ungrammatically used. “Papa, rug pein?” with good intonation is completely understandable from the toddler, although an applicant at a Dutch language exam would fail. “Kici, nagyi?” is completely wrong Hungarian even on pronunciation level, yet all Hungarians in Chinese take-aways understand this in Budapest and react without problems. This importance of lexis is perhaps most apparent using Chinese, a language rather void of grammar, when, for example, politely asking someone to “Qing zuo ba” would become wrong if we changed the declining voice pattern on ‘zuò’ to ‘zuǒ’ (as in 坐 v. 左). Of course, the context helps, and in the case of Chinese, due to the characteristics of the language, phrases with wrong tones are still understood. But a mistake is a mistake, but it is almost never one of grammar, especially in writing. This all shows as well how mistaken language testing itself could be, and that language tests should not be translated. Language tests are to measure the level of use of language of learners based on the characteristics of the given language, not of another one. Also, tests do not provide context, even for grammatical correctness. Thus teachers and then tests end up having to transcribe active sentences to passive “equivalents”, which, in the vast majority of cases, cannot sensibly be done. What would be the active version of “The last member of the family could not be rescued from the burning house”? An accusation against whom? The normal British press item “Our government has failed to realize the threat involved in allowing hedge funds to ….” would be completely unheard-of if translated into Hungarian without using an impersonalized kind of language reminiscent of passive voice, but such a Hungarian item would lose all its usual critical edge translated into English in the passive, as a result of the fact that no acting party would be mentioned as subject. Languages have their internal characteristics besides and above mere ‘grammar’. But when the question turns to ‘correct grammar’, even a native language professional suggests, however tentatively, that in sentence C above, the passive would be more correct. Except for the meaning involved. At an average NT2 Staatsexamen, the second part of the first day is the speaking test. The listening test itself takes about 30 minutes, but it is perhaps the most precarious of the four parts. After the one-hour break following the writing part, sitting through registration and the identity check again takes enough time for our blood pressure to seriously drop to near zero, which is anything but what we need for this part. The speaking test on Level 1 has about 20 questions in two parts, consisting of 20-second and then 30-second answer intervals, whereas on Level 2, the 20 or so questions are grouped into 20-second, 30-second answers with a third part requiring two two-minute answers. As to topics, what we have said about level differences in general holds here too, with Level 2 requiring more professional answers. The questions in the first part require fairly simple, short, one- or two-sentence reactions within 20 seconds. Time before the following situation is short, the candidate has to put themself into new shoes rather fast and then respond very quickly again. This is fairly do-able due to the relatively simple situations, but if the candidate’s blood pressure has already fallen, it is difficult enough to suddenly speed up. The questions in the second part tend to be a lot more complex, and the changes in topic follow each other similarly fast. We noted that the 30 seconds allowed for response prove too often to be rather short. Chatty types could do it better, but the questions require anything but a chat. With the frequent demand for the explanation of two or three different aspects of the problem, illustrated in three drawings, or sentences, a decision supported with minimum two reasons often proves too much for 30 seconds. What a prospective candidate needs to bear in mind is that preparation for those two parts of the speaking test mainly requires preparation on their own in the most unnatural circumstances. We have to get used to communicating our fast shifting personality to someone who never reacts to us. This is as far from normal human interaction as can be, but this is the basis for the examiners to assess our speaking skills. No matter how appropriately we can communicate in real life, here we have only 20 or 30 seconds to say something, and properly at that, otherwise we lose valuable points and may fail easily. Computerization is inevitable, we all know, but my personal opinion as an experienced oral examiner in Hungary is that a 15-minute personal dialogue about three various topic areas provides a far more reliable impression of the candidate’s language skills (and overall communication abilities as well, as human interaction is far more than speech) than such lightning-quick, impersonal attempts at reaction. Even with secondary impressions sometimes at play. 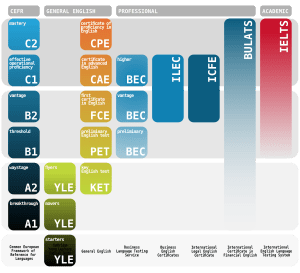 IELTS, Cambridge First Certificate English (FCE), or Cambridge Advanced English (CAE) tests provide similar examples of well-documented dialogues as speaking tests. There, there is possibility to bring out what the candidate is capable of, here, the candidate’s shortcomings are mercilessly brought to light under unnaturally intense circumstances. Here, momentarily forgetting just one key-word is enough to ring alarm bells in the mind and to lose half the time for a response, not to mention a potential to lose quality through embarrassment to oneself. Besides, I am not sure there is less time needed for evaluation here. The two evaluators have to listen carefully for 30 minutes of recording from each candidate and then decide. In the classical oral format, the two examiners rarely need more than 15 minutes per person to come to a decision, and in a much more relaxed atmosphere. Of course, we can say that, due to the standardized format, evaluation based on computerized answers here may happen extremely easily, almost automatically. But is it not this that allows for the complete loss of the individual? Under the circumstances, this sort of testing requires rigorous preparation. The candidate has to get used to what he or she never faces in real life, after all. Alas, such training is often missing at courses. Most teachers preparing you for the exams feel the need to control the language use of the students, the need to correct if something is not completely good. But such approach demands far too much time, and does not make it possible for the students to get accustomed to the demand that they need to give rapid reactions for anything that gets thrown at them appropriately and sometimes even with mistakes. The stress involved is the most demanding, most important to be used to, but that seems to be least practiced. At the James Boswel Institute at the University of Utrecht, the necessary first step was taken, with recording the speaker and the output analysed afterwards, but then again, it happened only once or twice to a few people for 20 or 30 seconds. Hardly anything in terms of training for the stress involved in keeping it up for half an hour and taking turns of personalities about 18 or 20 times. So a prospective examinee must do the whole thing on his/her own, with his/her own recorder at home. It’s only that he/she needs to make up the questions themself too, because the one or two practice sets used at courses are far from enough, and they are usually not to be taken home either. How realistic does all this sound? I have to add that the last two questions of the Level 2 exam are much more complex than those before, but there are two minutes of preparation time and two minutes of answer time provided, so the stress is far less. Also, these questions do not require four times as complex and detailed answers as the 30-second ones, and the candidate has enough time to accommodate themself to the new circumstances and roles. Almost a cinch, compared to the previous 15-or-so questions. On the second day of a full state examination, the candidates face a two-hour reading test followed by a long break, and then a somewhat shorter listening test of around 70 minutes answer-time. In both parts, 40 questions have to be answered. In the reading part, you have to read six different texts on paper, but that number may sometimes vary, and one can wonder what it will look like if they completely computerize the texts as well. The questions have to be answered on the computer screen, usually out of three possibilities, occasionally out of four. The candidate can follow his/her own speed and rhythm, which seems to make this part relatively easy, but mind you, the texts and answers tend to grow in complexity towards the end, so the two hours provided are normally just enough. To divide your time in two hours is also a lot more difficult than within one hour, not everybody finds it comfortable, so do not make the mistake of thinking that this part is easy, all the less so because the vocabulary and complexity of text is here on the highest level of all the four parts, coupled with the necessity to have good analytical skills. However, on courses, this type of work is the most frequent, so you are already well used to such tests. That said, this part is not very stressful, but, due to the language level and complexity, tiring enough so that we need the break afterwards. The listening part could again prove quite stressful. At courses, listening tests are sometimes done, but very rarely discussed, so I would say that the logic of choosing answers and the language points involved are not properly trained beforehand. In my own experience, at a summer school provided for hard money at the James Boswel Institute at the University of Utrecht, listening tasks were not covered at all. The test itself, consisting of the usual 40 questions, is a continuous fight for fast understanding. Before each question, there is the same time provided to read the question and the three alternative answers, whether the answers are short and simple, or consist of longer and more complex sentences, so very often, you do not have enough time to read through the questions properly before the relevant snippet of one of the five or six dialogues already begins. Even if you can easily follow the dialogue, which may or may not be the case, if you need more time afterwards to browse through the options again and choose, you lose your time to properly read through the following question and answers. And that is where you may get stressed and frustrated again. You can later go back to a previous question, but only in your own time for another answer and also without the possibility to listen to the relevant part again, so it is strongly advised not to do this. What I deem necessary is to fully understand the question and the options as well, and then to memorize the gist of all the options. With that in mind, we can choose the correct option while we keep listening, then check ourselves at the very end of the snippet and click. Not always easy, but must be done. That having said, I can say this part is do-able, especially if one already has some practice through frequent talks to people in real life, or watching television, or doing the listening tasks most likely coming with a course book. Candidates get the official result by post six weeks after the exam, but it is already available to be seen on the DUO web-site with your registration number after five weeks. It is possible to get diplomas about each successful part if you do not succeed overall. One re-take per year is possible, and if fully successful in all parts after that, DUO is ready to issue a full diploma if requested. With these explanations, I hope we have provided prospective students of Dutch a useful overview of what can be expected at preparatory courses and at the exams themselves. We wish you good luck and success. In this post, we’d like to shed some light on this system for the sake of those only considering taking to studying the language at the time of reading and later planning to take an exam. The system is described in detail on the English version of the DUO web-site, but instead of repeating some tedious details, we’d like to outline some of the facts more from the perspective of the student and his/her needs. There are three kinds of exams in the system. The first is the so-called “inburghering” exam, which, from the language point of view, corresponds to level A2 of the Common European Framework. Above this is the NT2 Staatsexamen Niveau 1, which corresponds to B1 level, and then the same at Niveau 2, which corresponds, on paper, to the higher B2 level. 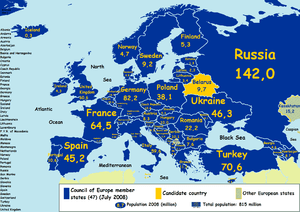 The first sort is actually necessary for those from outside the EU wishing to stay in the Netherlands for a longer period and get Dutch nationality, that is, “inburghering”, to become Dutch citizens. Until now, in order to pass, the candidate has had to, among others, choose the correct response in various more-or-less official situations, which necessitates knowledge of some laws and a lot of customs in the country. Another part involved choosing the correct responses in small everyday situation. Sadly, preparatory courses to prepare for such tasks take the form of rote-learning contests and the winners remember the most of the necessary reactions well to be able to make the correct choices on screen. From the student’s point of view, teaching is a nightmare. Another part of the exam has been to record the opposites of words read out in the head-phone on the computer. We consider this to be very far from language use as well, still, it demands a bit more active participation than clicking choices. Preparation for such tasks is also a nightmare. Not very much better was a part where the candidate was required to re-tell and record a small story read out to him/her by the computer. This task seems to require active participation, but actually, its point is to instantly memorize and regurgitate things heard. Tiring and very testing on concentration, but not very realistic either. Besides three central parts, this exam included a practical portfolio as well, which the candidate had to fill in with the results of actual conversations with people, often at offices of the police, or a lawyer, or in a shop, and this is where it made sense. This was the only really valuable part, except that it was sometimes possible to cheat, and preparation for it was rather half-hearted. This system has now been changed into a five-part central test. Besides the usual four basic skills, knowledge of the Dutch society still forms a part. We must point out that preparatory courses on this level teach very little of the language, there is little language practice during lessons, so there is very little room even to understand basic Dutch grammar there. Hopefully, the new, more skill-based exam engenders more language teaching instead of rote-learning, yet, at least until this becomes the norm, perhaps within a number of years, those starting to learn Dutch from scraps are well advised to first follow a good Dutch course in their own country and learn the basic necessities, and then undertake an “inburgheringscursus”. For those with other, deeper interests, understanding and learning from a spouse is always a better option. For those who do not need to get nationalized, but wish to learn the language and take exams, we strongly advise to avoid such courses here. Instead, they had better bring up their level to A2 in other ways and then follow a B1-level course. After sudden changes and economic downturns in the country, there is now very little state subsidy coming in the way of the participant, so you have to look carefully what you pay for. Besides, the cost of the examinations have doubled for this year, so now expect to have to pay €180 for a full NT2 exam on both levels. And that after a course already cost you a thousand or two. On the other hand, exam courses may sometimes well serve you to get you acquainted with the demands and required techniques of each part of the state exam. After you’ve already learned the language well. For nationalization, you are not required to raise your language level above A2, that is, after the “inburghering” exam, you can simply stop and become a housewife. NT2 exams are necessary, however, if you want to follow studies. Level 1 is needed for you to follow secondary courses, to become a nurse, or cook, or the like, or to get a simple job; level 2 is necessary if you want to go to university. We are not saying that those exams are enough for those purposes, but that the paper about them are prerequisites. Institutions and work-places retain their rights to individually look at what the applicant’s language is like. But don’t worry – if you are capable of obtaining one or the other diploma, the studies you follow will take care of the further development of your language. Just do not expect anyone to teach you the language when you already follow school or university courses – you have to have a sufficient basis to succeed on your own. We have to add that, on the job market, in certain industries where there is a real shortage of highly skilled manpower, like it is with ICT turners, reasonable levels of speaking English, or German are enough to get a well-paid job. As our experience with Level 1 is more than a year old, we are not going into details about that. That and Level 2 of NT2 is now renewed and is still in the process in that it is not yet fully computerized, but it is going to be until the end of 2013. Besides, there are only a few small differences between the tests at Level 1 and Level 2, the difference being mostly of quality and level, not of kind. However, more recent experience of others also indicate that there is a thematic difference between the two levels: on Level 1, the candidate has to switch roles or react to situations more in everyday life, simple work tasks and the like, like talk to a neighbour, or give instructions about using office equipment, or give directions somewhere; whereas on Level 2, the candidate has to read, or write about, or react to tasks and roles that require interests in higher education, like work procedures of a physiotherapist, manager of a national park, or an entrepreneur in commerce or art. At the moment, half of the writing part of NT2 is done on paper, but it will cease to be soon, so the candidate must have ample typing skills. The timing and so the tempo of the test requires more speed than how we can type with two fingers, so be prepared to acquire this skill by all means. In both halves, there are a number of shorter tasks, like one or two sentences to be filled in an e-mail, and a couple of longer texts to be composed. As we are allowed to use dictionaries, the skills for doing that is also of importance for success. The length of each part is about one hour, so it is also a matter of perseverance. Much more difficult is the speaking part, of which we are going to talk tomorrow along with the listening and reading part. Stay tuned if you have the interest. (1p) 1 Wat vindt Katie het engst aan de gebeurtenis die hieronder beschreven wordt? 7 Geef van elk van de volgende beweringen aan of deze juist of onjuist is op grond van de alinea’s 6 en 7. Omcirkel ‘juist’ of ‘onjuist’ in je uitwerkbijlage. a Bij een half uur joggen verbruik je meer calorieën dan bij een half uur touwtjespringen. b Bij touwtjespringen worden alleen de benen goed getraind. c Touwtjespringen is volgens veel jonge mannen typisch iets voor meisjes. d Sommige vechtsporters trainen ook door touwtje te springen. Which means, of course, that not only do the students have to translate for themselves all the time (I’ve already written about the drawback thereof), but the teacher also has to understand and be able to explain why some answers are incorrect and others are correct. On top of this, the final year of the lower-high and upper-high-school is a test-year, which means students are given test practice throughout the year. I can’t imagine how much drilling of grammar and translation goes on there because I’ve always worked on the principle that if the language is well-based and fluent and assured enough corresponding to the level of the applicant, the test won’t be a problem. If students converse and read and write freely on, let’s say, B2 level, passing a test on B2 level will also be easy for them with a minimum of test preparation, which I consider a very ineffective and time-consuming way of language development itself. It is necessary to give such practice for the sake of understanding what the testers want from them and how. 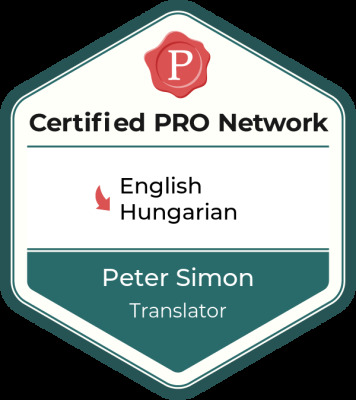 As far as I remember – which is more than 40 years ago, when I began to study English at grammar school – our books and tests were written by the Hungarian authors and our teacher in English. I’ve done state examination training, corrected university entrance tests and the like, but I’ve never seen a test given in the students’ mother tongue … well, perhaps there were a few in China, but as far as I remember what they showed me there, they were tests written in English. The student has to understand the task in English. This is simply a reading task, also measuring in itself the understanding of the target language, full-stop. I can imagine no reason why the Dutch have to make it extra complicated for their children by making them translate even if they have a chance of understanding it in English – and that’s the point of the test, isn’t it? It makes me a bit more optimistic that others tell me students at the higher-level theoretical schools, like ‘gymnasium’ and the like, get tested by English-language tests. But I’ve also got insider information which suggests that that the level of English of even some HBO-groups are so shaky that students need Dutch-language instruction and testing. De docenten van de moderne vreemde talen van het … College hebben de afgelopen twee schooljaren gebruikt om de lessen, de toetsen en de schoolexamens aan te passen aan de kwaliteitseisen die aan het ERK zijn verbonden. Which is to say that the school’s teachers of modern languages have been adjusting their classes, tests and examinations to the Common European Framework of Reference for the last two years. Which is to say … two years. The first draft of CEFR came out in 1997, although it is true that the Reference Supplement came out in 2009. I have very big doubts about the application of the CEFR in the Netherlands. Although a Dutch committee prepared the Reading/Listening Grid, I doubt that the team-leader, J. Charles Alderson of Lancaster University would really have advocated the use of the mother tongue with these items, and because the committee had members from France, Germany and Finland, I don’t think they all used their mother tongues while formulating the common reference points. Saying this, I have to admit that I haven’t read CEFR and I’m not intending to in the short term, so I could also say, anything goes. But then, why do they have CEFR? And if they do, how could anyone not speaking Dutch solve such a test? Does this conform to CEFR? My personal feeling is that most of the earlier tests were not re-written in the Netherlands, although some texts are said to be from sources around 2009. Also, this is how they’ve been making tests for as long as they remember … And see, even the Council of Europe deems Dutch test-makers to be worthy of preparing a large chunk, so it must be alright. Nobody thought it could be otherwise, as I pointed out above. Also, two years is not a long period, they may be waiting for what’s happening in the longer term. In the Netherlands, testing is in the hands of the highly-regarded CITO, the Central Testing Agency, and they don’t expect any primary pupils to understand tasks in English or other respective languages, so all their all-important final exams for primary education have Dutch instructions for foreign languages. So that’s what teachers have to prepare their students for, obviously in Dutch. By extension, logic dictates that, if test solutions have to be discussed in Dutch, teachers have to explain grammar and other stuff in Dutch during preparation to tests, so the language of instruction is also Dutch. And if the system doesn’t change for secondary levels, nobody is going to complain there, right? For me, though, Dutch foreign language education does not seem a jot better than its Chinese counterpart, as long as I can’t see it from inside. What makes the two systems very different in terms of efficiency is the social and economic system surrounding them in general, and the outside-school possibilities for learning in particular.